When business owners shop for a new office, it’s essential that they develop a clear understanding of the way the space will serve their company. Typically, office space listings feature the total rentable square footage of a building. This is a valuable metric to consider, but it must be carefully examined in the greater context of a building’s layout and composition. 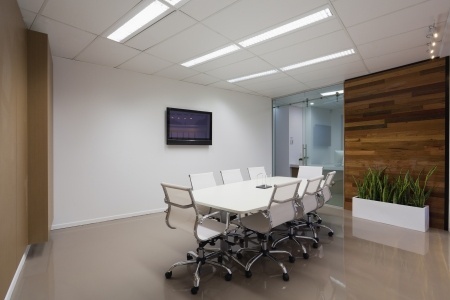 The rentable square footage in a building includes all of the space that your workforce will occupy in addition to other spaces such as common areas, hallways, lobbies and restrooms. This is the square footage measurement that your landlord will use to calculate your monthly rent. As the name implies, the usable square footage of a building encompasses only the space that your workforce will operate in. This is the rentable square footage minus common areas, restrooms, lobbies, etc. So how do we make sense of the difference between rentable and usable space? A building’s load factor consists of a simple ratio between its rentable square feet and usable square feet. In a building with 100,000 square feet of rentable space, 90,000 of which is usable, the load factor is 1.111, or 11.1%. By comparing the load factors of different spaces, you can get a better idea of the real value of the space in question. This way, you can get the most bang for your proverbial buck when it comes time to sign a lease. At Unique Properties, we’re committed to helping businesses find highly functional, cost effective spaces in which to thrive and develop. When you work with one of our talented tenant representatives, you’ll gain the services of a trusted advocate and advisor who will guide you through the entire office search process. Want to learn more about how our tenant representatives can help? Give us a call today for more information, Zach Smith, 303.512.2734 or zsmith@uniqueprop.com.